Life's easier in a click! Q: How do I connect to CLiQQ WiFi? A: First, go to a CLiQQ WiFi zone and connect to the hotspot. For the best experience, download the CLiQQ app to enable auto-sign-in. If you still don’t have the app, open the sign in page that appears when you first connect to the hotspot and register. Once signed in, use your 70MB free data allocation to download the CLiQQ app. A: All users get 70MB free. Use the CLiQQ app to add WiFi credits (1 reward point = 20MB). Show the barcode on your app to earn 1 reward point for every P50 purchase (excludes services and commission based items) at 7-Eleven. WiFi credits are valid for 180 days. A: Once you install the CLiQQ app, auto-sign-in is turned on by default so that you can enjoy internet access automatically when you enter a CLiQQ WiFi zone. All you need to do is to connect to the CLiQQ WiFi hotspot at least once. Q: How fast is this wifi? 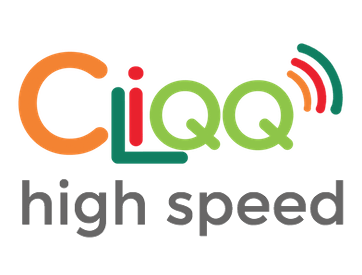 A: Over 800 locations have high speed wifi marked with the “High Speed CLiQQ WiFi” logo. In these locations, YouTube videos start playing within 5 seconds. Q: Where can I find CLiQQ WiFi zones? A: All 7-Eleven stores nationwide are CLiQQ WiFi zones. Q: What happens when I run out of data in my account? A: You will receive a notification that your CLiQQ WiFi balance has ran out. You may touch the notification to go directly to the Add WiFi Credits screen on the CLiQQ app. 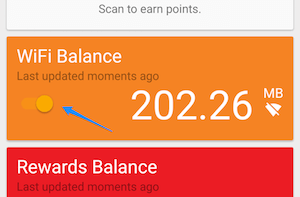 Q: Why does my balance decrease even when I’m not browsing? A: Your mobile phone usually has apps running in the background using data. Background data is all that internet traffic that goes on when you’re not actually using an app: email syncing, feeds updating, weather widgets and so on. The easiest way to save data is to tell your apps (or the Android system itself) to restrict background data. When using the CLiQQ app, it will use about 0.02 MB when you open or refresh the account balances and notifications.